Was Muhammad Ali a racist? You bet he was. By any modern measure, Ali was racist as hell. But, that’s no surprise to me. In spite of his racism, he was my hero. Not because of it. You see, people used to have some fairly nuanced views about these things—having lived through Jim Crow, segregation, and other seismic shifts—all of which came at a time of great cultural and technological change. Less than a hundred years ago, people living in the most educated societies on earth widely viewed floods and earthquakes as literal acts of God. Some people still do. The science of meteorology and geology were largely unknown then. Likewise, what we've come to know about Race as a scientific concept, is a function of the last few hundred years. And, even then, only in Western cultures. What should this tell us? That looking back on the past and holding people accountable for ideas that were essentially unknown is it its own form of bigotry? I think so. Today, with hindsight as our ally, there is no excuse for not "Knowing" especially when there is an unprecedented amount of information available at our fingertips and, remarkably, it's free. The smug delusion that hindsight offers, however, can be its own reward. 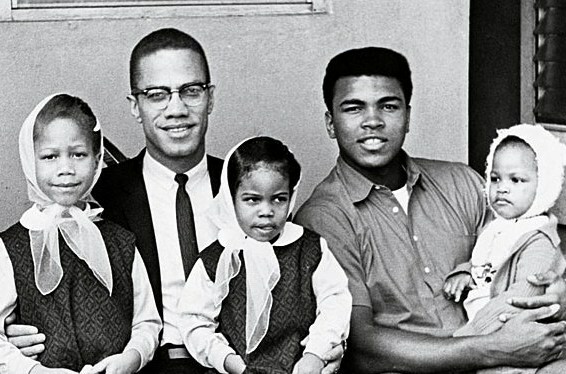 Eventually, Muhammad Ali changed his views on race and left The Nation of Islam (Black Muslims) as did Malcolm X before him. The difference being that Malcolm was murdered by the leadership of his chosen cult, for challenging their prophet. Only much later did Ali leave of his own accord, but only after being bilked of millions by the group. ​In other words, it was Muhammad Ali’s enormous talent and will to win, as well as some of his political stances that made him my hero, albeit a very flawed one. Not his views on race. ​Being able to hold two ideas that appear to be contradictory, at the same time, may be a sign of intelligence. It may just as readily be a sign of a poorly thought-through ideology. Only time will tell. History, however, is the great teacher. Without history, we're all blind, so the truth matters in all it's nuanced and messy glory. Anything less is a case of the blind leading the blind.